EDWARDS AIR FORCE BASE, Calif., Oct. 10, 2011 (GLOBE NEWSWIRE) -- The U.S. Navy/Northrop Grumman Corporation (NYSE:NOC) X-47B Unmanned Combat Air System Demonstration aircraft reached a major milestone Sept. 30 when it retracted its landing gear and flew in its cruise configuration for the first time. 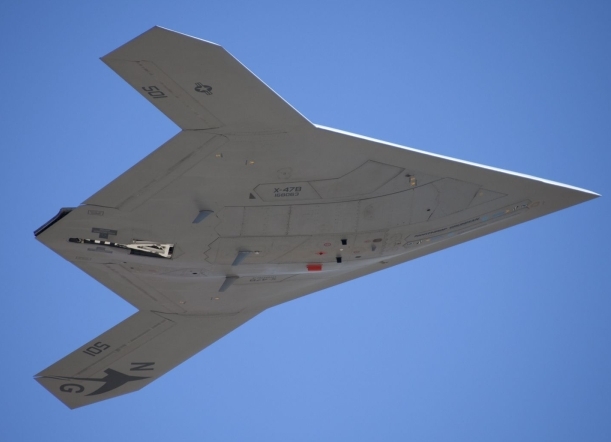 The flight, conducted at Edwards Air Force Base, also helped validate precision navigation hardware and software that will allow the X-47B to land with precision on the moving deck of an aircraft carrier. "Last week's flight gave us our first clean look at the aerodynamic cruise performance of the X-47B air system…and it is proving out all of our predictions," said Janis Pamiljans, vice president and Navy UCAS program manager for Northrop Grumman's Aerospace Systems sector. "Reaching this critical test point demonstrates the growing maturity of the air system, and its readiness to move to the next phase of flight testing." 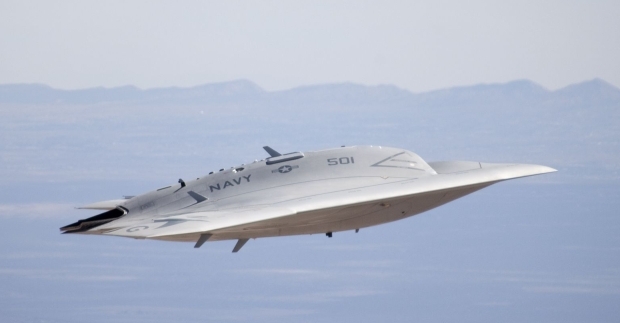 The recent flight was part of an on-going "envelope expansion" program for the first of two X-47B aircraft produced by Northrop Grumman for the Navy's Unmanned Combat Air System Carrier Demonstration (UCAS-D) program. Envelope expansion flights are used to demonstrate aircraft performance under a variety of altitude, speed and fuel load conditions. The UCAS-D program plans to begin transitioning aircraft to Naval Air Station, Patuxent River, Md. in late 2011 to begin shore-based carrier suitability testing in 2012. The focal point of the program is to demonstrate in 2013 the first aircraft carrier launches and recoveries by a tailless, low-observable-relevant unmanned system.